Freddy DeBoe was born and raised in Milwaukee, WI, where he developed a talent and musical spirit in the inner-city creative arts program at Elm Creative Arts School and Wisconsin Conservatory of Music from teachers and mentors Berkeley Fudge, and his bigger brother, Berklee Alumni Jack DeBoe. Freddy studied at Berklee College of Music under the leadership saxophonist such as Walter Beasley, George Garzone, Dino Govoni, and Frank Tiberi (of Woody Herman's big band). 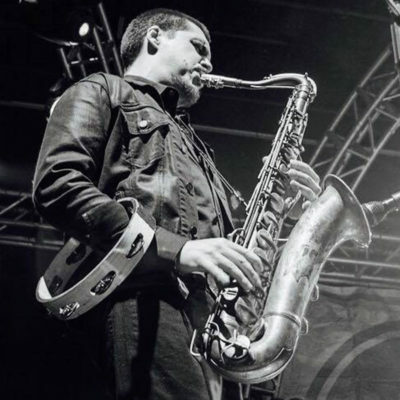 He also had the opportunity to play with visiting artists such as: Fred Wesley of the James Brown Horns, George Porter of the Meters, Raheem DeVaughn, the Last Poets, and Donte Winslow. Now settled in New York, Freddy continues to apply his musical skills in various settings, including work with Cochemea Gastelum (of the Dap-Kings, Antibalas, Soulive, Greyboy Allstars, Archie Shepp), Kaleta + Zozo Afrobeat (formerly Fela Kuti's guitar player), and songtress Deva Mahal (daughter of Taj Mahal). He plans to further his studies, write and perform more original material in a plethora of styles, and join the next generation of revolutionary musicians. Specialties: Performing and recording tenor, baritone or alto saxophones as well as flute in various musical styles.